We are a huge pet loving family. We have our own little zoo and having a bird wasn’t really something I ever thought about until my husband brought up the idea about 6 years ago. Up until that point, I was actually quite scared of birds. We started off with a Green Cheek Conure. Said to be one of the top 10 family birds, and when I say he wasn’t great – he wasn’t great. We think he had something off with him from the start. However, he took to my husband and they quickly had a bond that they both seemed to enjoy. Sadly, he passed away not long after we got him, he was quite old. 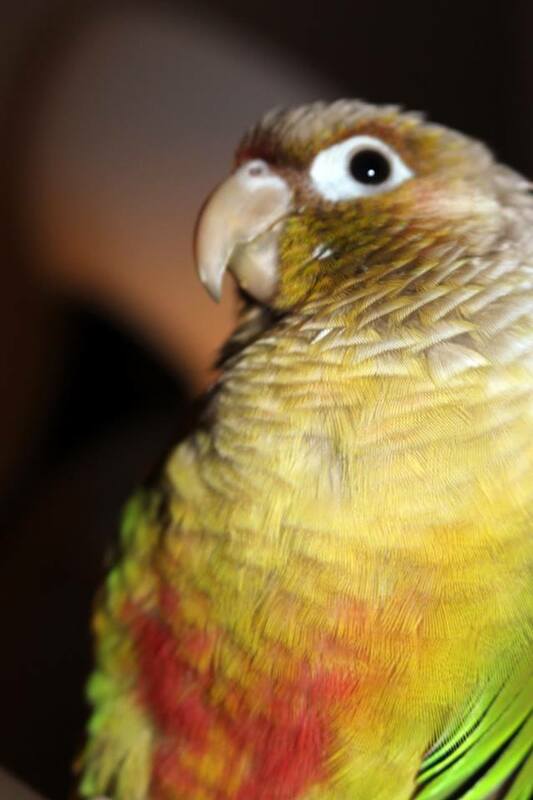 Shortly after that we contacted a breeder instead of a for sale ad and found our amazing Cinnamon Green Cheek, Teeki. He was my absolute favorite. He didn’t like many people, but he and I had a special bond. We had Teeki for 4 years before he had a sudden stroke and passed away immediately. It was heartbreaking, and the kids were lost. Everyday commenting how quiet the house was, and how it wasn’t the same with Teeks gone. We all talked to him all the time, he’d chirp back and it was something our whole family looked forward to and enjoyed on a daily basis. After doing a lot of research we decided we wanted to go a different direction with a bird. 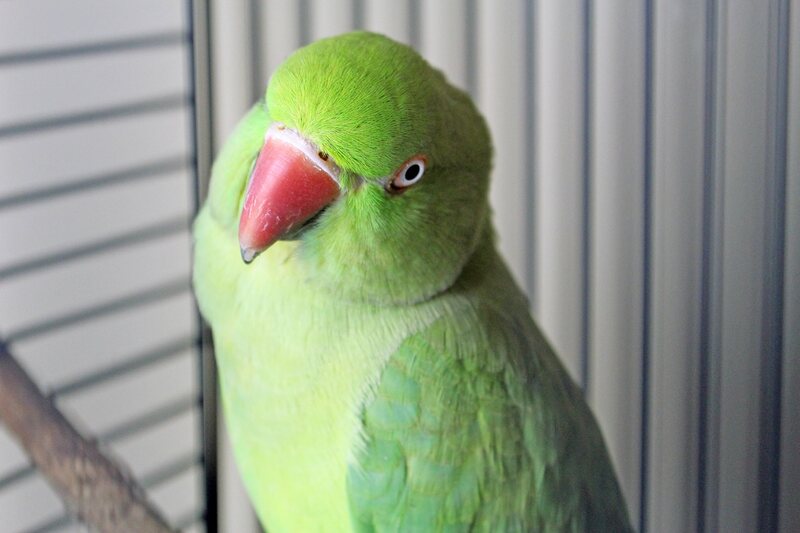 We wanted to go from Green Cheek to something a little bigger and were looking into an Alexandrine Parakeet when an Indian Ringneck kind of fell in our laps. She is absolutely beautiful and although we don’t know how old she is for sure, she is a welcome and addition to our family. Being a work at home mom I have a lot of time to give a fid so I do enjoy the birds who do require a little more. Why are birds an excellent family pet? It also depends who you ask if birds make great family pets. A lot are for, and a lot are against. It’s best to do your own research and see what will work with your own family. What birds make excellent family pets with kids? It goes without saying but a lot of birds aren’t always great with kids right off the bat. A lot are even scared of adults, it takes time and patience. Lots of research and really finding out what bird would be right for your own family. I find getting rehomed birds that have lived with kids/families to be a great way to ease into having a bird or contacting a breeder and speaking to them. Also, joining Facebook groups or bird websites with forums is a great start too. I personally am not a fan of little/small birds. Every bird we have owned has been great with kids, but my kids don’t generally spend a lot of time with the birds – they are more for my husband and me, but we do still want birds good with families because we all live under one roof and it’s important we all get along. What do you think? Would you enjoy a bird as a pet? Have you? What type of bird is your favourite?